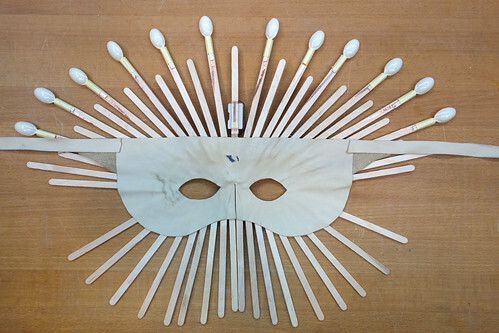 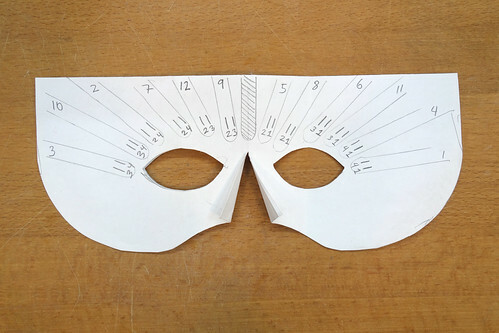 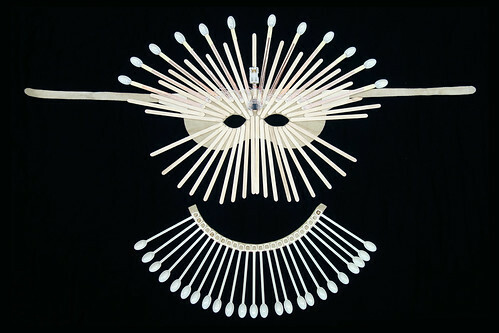 Made in the Hybrid Craft Lab of the Hebrew University in Jerusalem, for the Jewish carnival celebration Purim, this mask is made from spoons and sticks intended for stirring sugar and milk into coffee. 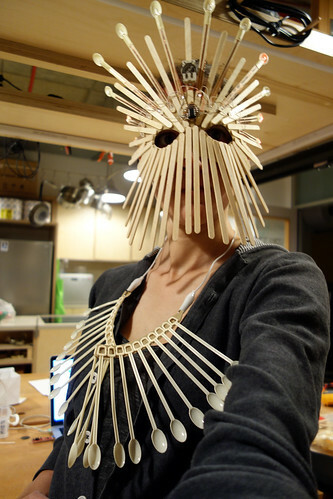 Inspired by the shape and abundance of these waste-producing products, unfortunately the mask was not made from used stirring sticks and spoons. 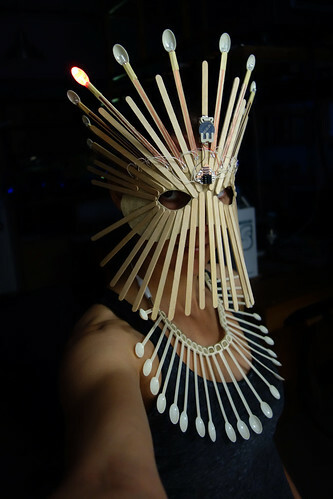 Charlieplexing and software PWM on an Attiny85 to individually control 12 LEDs from 4 i/o pins – n * (n-1). 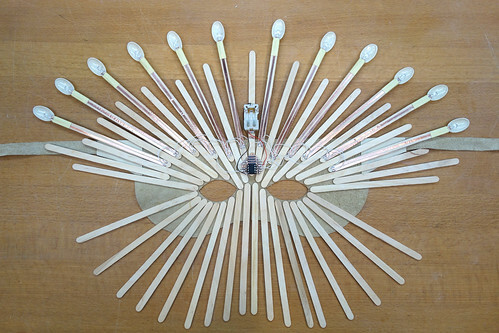 One i/o pin is still free and could be used for mode button.